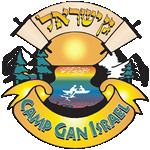 We are offering before and after care at our camp location and at Chabad of Silver Spring. The Chabad of Silver Spring location is for families who choose to use the bus. You can sign up for before and after care using our online camp registration system.